In traditional Jewish literature marriage is actually called Kiddushin, witch translates "sanctification "or "dedication." "Sanctification" indicates that what is happening is not just a social arrangement or contractual agreement, but a spiritual bonding and fulfillment of a mitzvah, the couple now have an exclusive relationship, During the ceremony at this point the couple again share in drinking the cup of wine, and the groom breaks a glass stamping on it. What a better way then for me to arrive as a Hilton Head Wedding Photographer to capture that meaning to them, then to design that image for the capture. 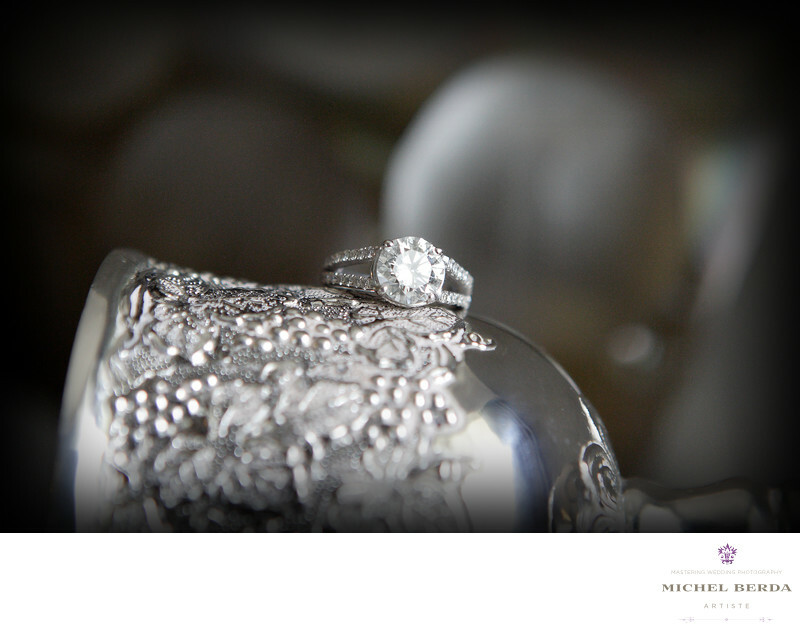 As I arrived at the suite of The Westin Resort & Spa, in Hilton Head, Sc, I noticed that the bride had all of the details for me to photograph, I also noticed all wrapped up was a better jewel, the kiddish cup. I incorporated the engagement ring and this cup together for so much meaning and power for this wedding. I used the window light concentrated my focus on both the ring, and the details of the cup, you see incorporating two very precious meaningful well designed, crafted pieces, and capturing it as a single image is what makes this image unique and different, it not only looks great, it has history behind it, and there will be more great memories after that has well. Shalom.Keywords: Engagement Ring Jewish Wedding (3), Kiddish Cup (3).